disclosure: blog brûlée is being partially funded by the generosity of brands mentioned in this post. i’m packing my bags and heading north. this is one of the best times of my year… a chance to get away, with some of my favorite people, to such a lovely place, and talk about all things food blog. 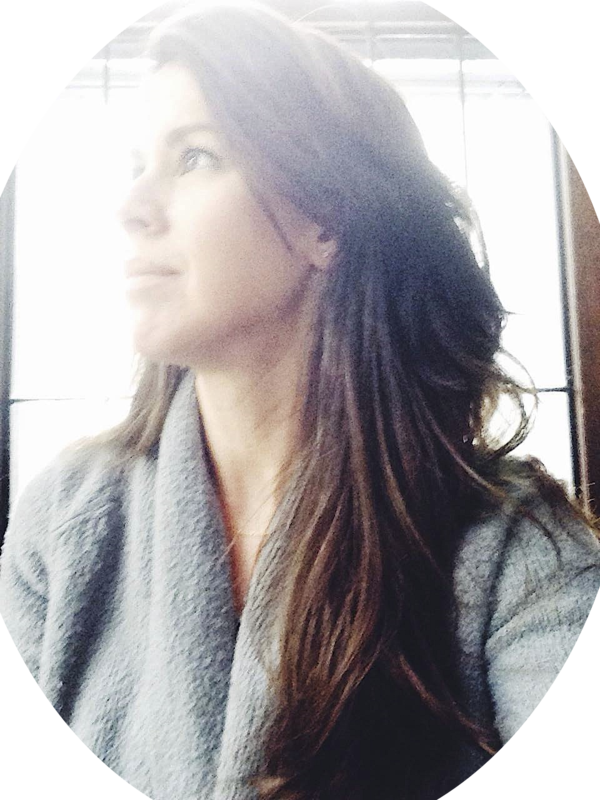 it’s time for the FOURTH year of blog brûlée! this year, my fellow founders (regan, deanna, and robin) and i have decided to take the content of the event to a masters level. that means we’re bringing back alumni of the previous years to dive even deeper into the art of food blogging. which kind of qualifies it as a bit of a reunion… and that’s always a good time. ooo-boy, do we have a momentous dream-team of speakers! i will be bringing my own humungo notepad to gather all of the wisdom i can from these folks. it’s going to be intense and fabulous. so, in celebration of another exciting year of blog brûlée held in the fall-colored mountains of vermont at smugglers’ notch, i felt it was only right to share another fireside-worthy s’mores recipe with you! you may recall the insanely delicious gooey grain-free s’mores bars (for the marshmallow lover) from last year or the s’mores tarts (for the chocolate lover) from the year before. if these are new to you, do yourself and favor and don’t miss them now! 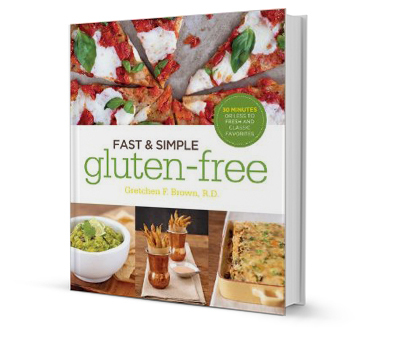 all of these are proof you don’t need a log and a match (or any gluten!!) 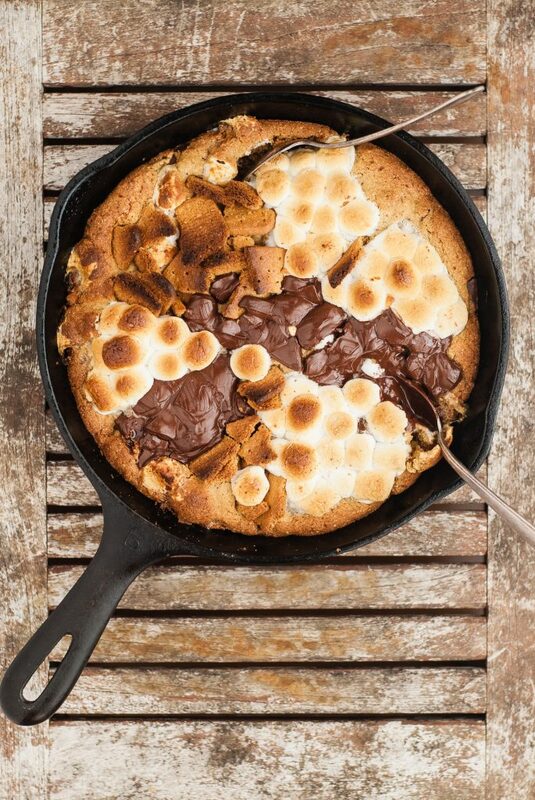 to enjoy some serious s’mores goodness. 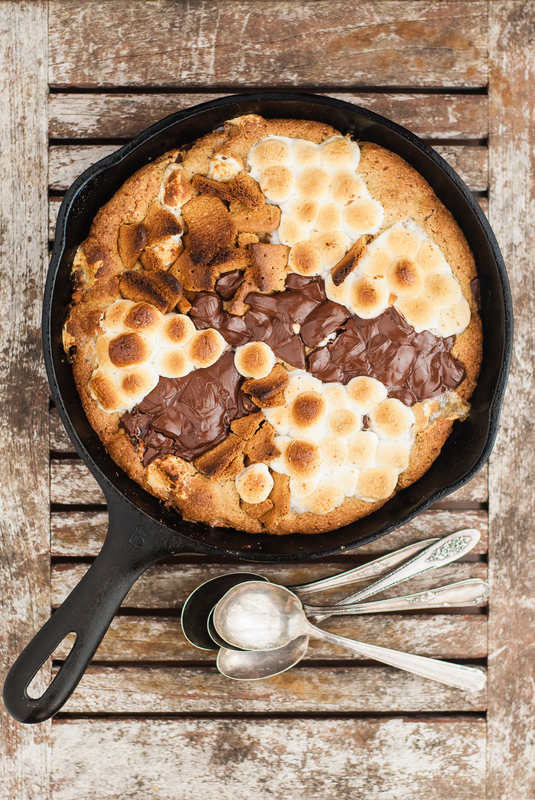 this gluten-free s’mores skillet cookie is just as tasty as it looks… the grain-free cookie base is studded with s’moresy chocolate chunks, marshmallows, and broken gluten-free graham crackers. 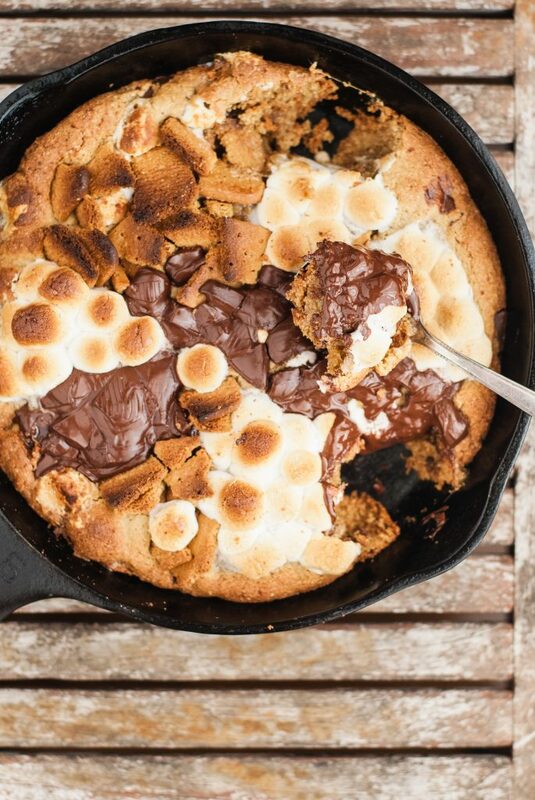 press that dough into a 9-inch skillet and then… for good measure… add another helping of s’mores fixings to the top before you bake it all. holy moses. dig in. we are so very grateful for our amazing and generous sponsors for blog brûlée masters… let’s give them a hand and some love. Combine shortening, coconut sugar, egg, egg yolk, and vanilla in a large bowl. Combine almond flour, arrowroot starch, baking soda, and salt in another bowl. Add flour mixture to shortening mixture and stir until combined. Stir in half of graham crackers, marshmallows, and dark chocolate. Press dough into a 9-inch iron buttered skillet. Press remainder of graham crackers, marshmallows, and dark chocolate onto top of dough, clumping them together, if desired. Bake at 350° for 15-20 minutes or until pick inserted into center of skillet cookie comes out clean.